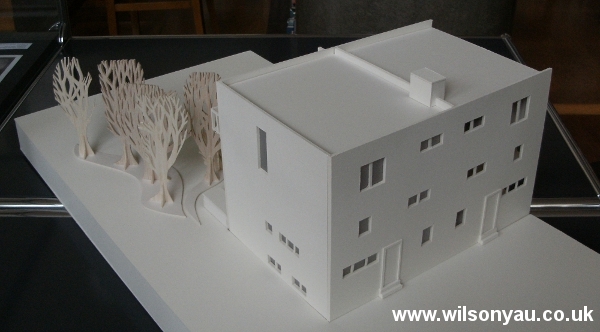 In 2011 I created a model at a scale of 1:50 based on the architect Adolf Loos’s design for family housing in Vienna at 13-19 Woinovichgasse, Werkbund housing estate. 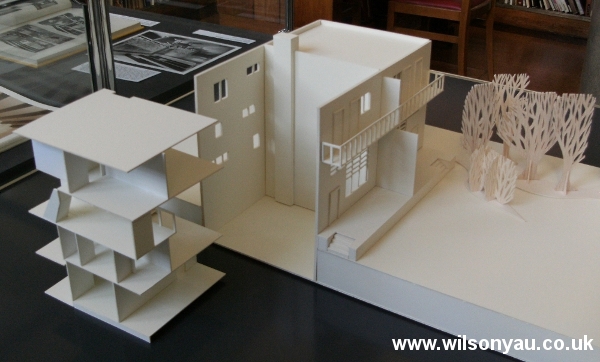 It was made for the Royal Institute of British Architects’ exhibition on Adolf Loos and was on display in their headquarters at 66 Portland Place, London, in 2011. 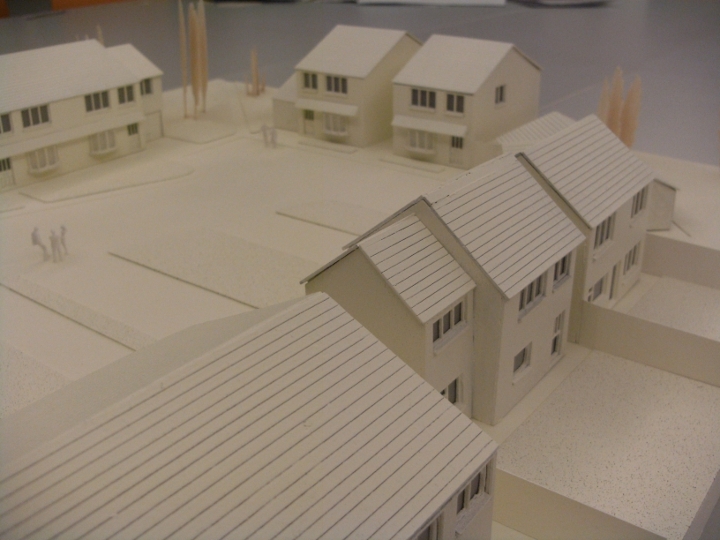 These houses are semi-detached. 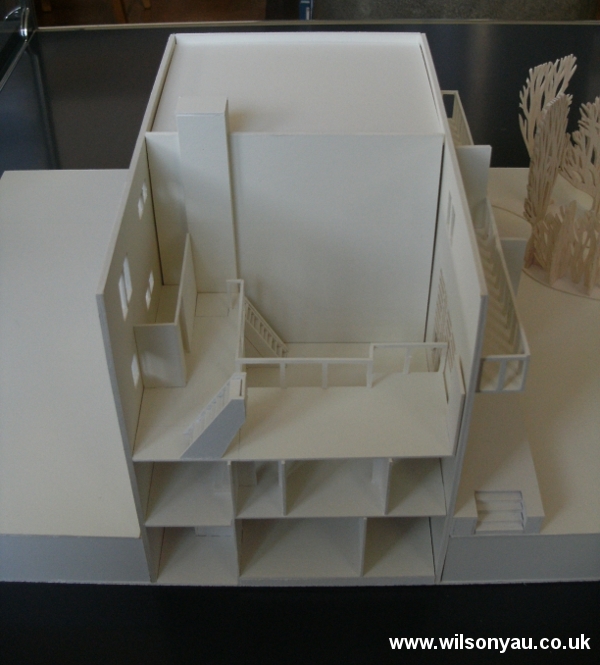 In the model of one such pair of houses, one side was kept open to allow viewers to see the interiors spaces, an area of design he always carefully considered through his ‘raumplan’ or spatial planning. 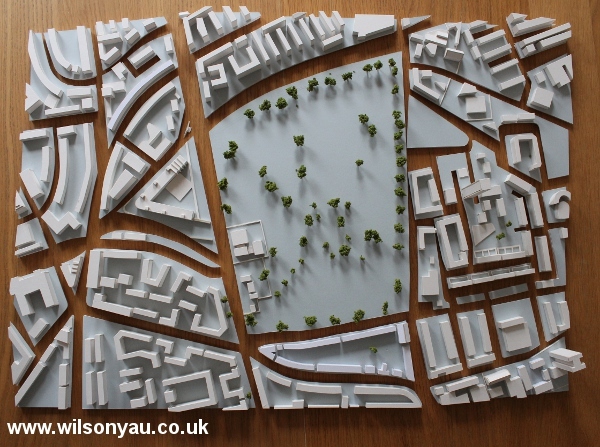 The open half of the model can be dismantled. 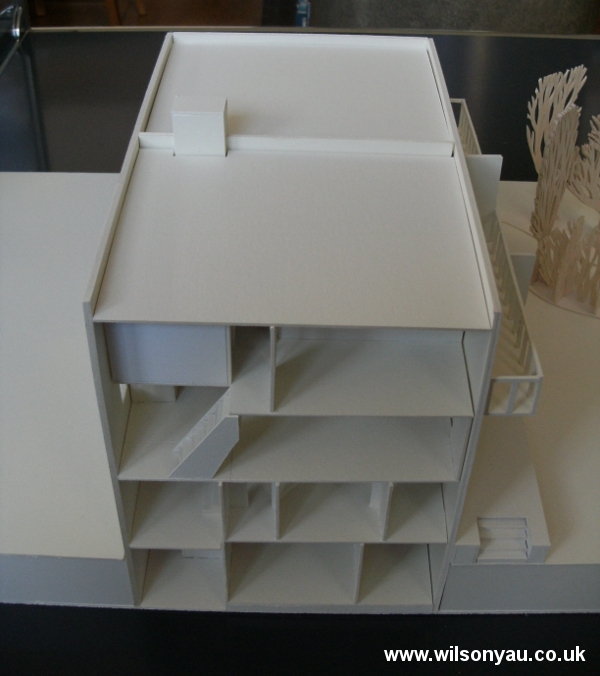 All the floors can be taken out as one piece, or removed one floor at a time to allow for further investigation of Loos’s remarkable interior planning. 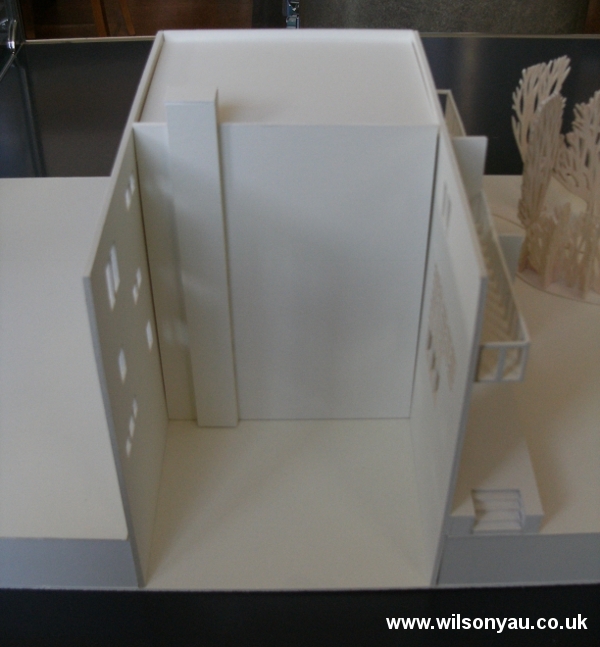 The model took six weeks to create, and was made out of mountboard which was then sprayed white once construction was complete. 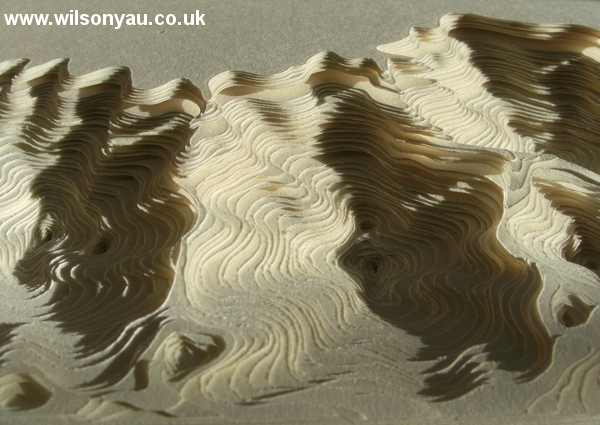 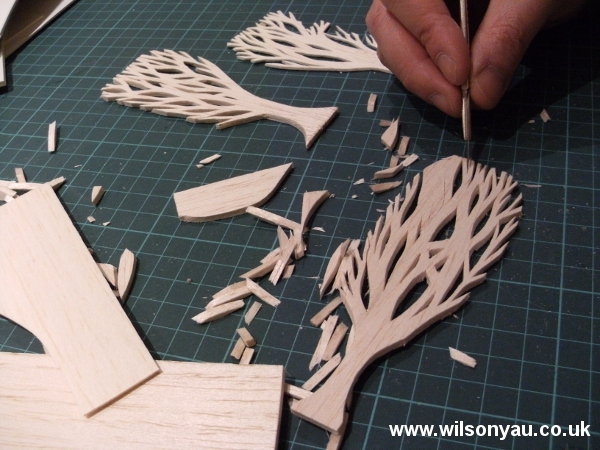 All elements were hand cut, including the balsa-wood trees. 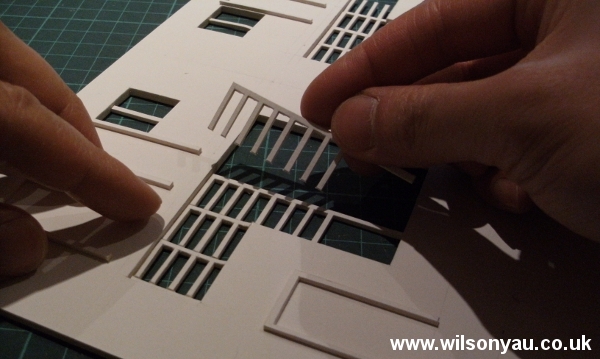 The base was partly made out of thick styrene. 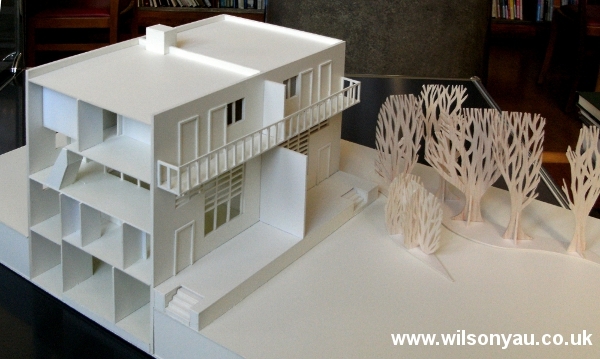 This model is now held as part of the collections of the RIBA.